I’m very happy to announce the publication of a new children’s novel by my friend and book editor John Hudspith. 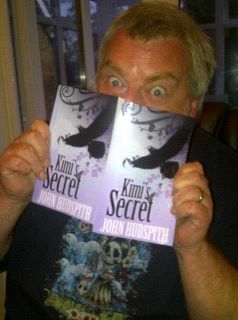 ‘Kimi’s Secret is John’s first novel and it’s a wonderful book. It will appeal to children at the upper primary school stages as well as to any adults who enjoy adventure, fantasy, originality, excitement and a healthy measure of grossness in their reading. This a literate, well-researched and intricate tale but more than that it’s an engaging page-turner. Workshops, by Anne Stormont and John Hudspith. writers collaborate with children’s author. also had suggestions and ideas of their own about the text. in headfirst and with fingers crossed. what worked, what did not, and what could be expounded, was an enlightening experience. I looked forward to our Kimi afternoons and the productivity achieved was astounding. of the tricks of the trade, of techniques and of the reader’s experience. ideas into the mix, the lad had the confidence to just go for it. I certainly envy Anne for. fictional landscape on which to base an extended piece of fiction writing. ‘proper’ author – his credibility being much higher than a mere teacher’s. results. The first prize winner received a book token. with ambition and incredible imagination, was an absolute pleasure. 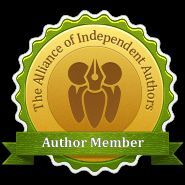 competition – opened my story-telling mind directly to what my reader wanted. that insight alone the process was worth it. Secret’ placemats – and party-poppers and sweets courtesy of Johnny. In the meantime if you can’t wait for the paperback to be available on Amazon contact the publishers at http;//www.feedaread.com and they’ll send you one.